Thinking of getting dental implants in Louisville, KY? The following guide lists the top 10 dental clinics as well as what you can expect to pay for a dental implant in Louisville. Click on the profile of a dentist near you to read more about them. Here are some examples of how much people have paid for dental implants in Kentucky. We have the highest regard for our patients’ well-being, for they are our greatest asset. By continually updating our skills and addressing your dental needs with compassion, respect, professionalism, and efficiency, there’s no doubt that you are our highest priority. We invite you to stop by and experience our relaxing and pain-free dental office. Dr. Rachel Talis and her caring staff are here to help with a unique approach to dental care; From cosmetic services that include teeth whitening and veneers, to comprehensive restorative procedures including implants, dentures, bridges and crowns, all the care you need is right here under one roof. Dr. LeNeave specializes in improving smiles and has helped hundreds of your neighbors discover beautiful, healthy smiles. Our staff cares about you, your family and your friends. We would like to welcome you and invite you in for a visit as we are accepting New Patients at this time. 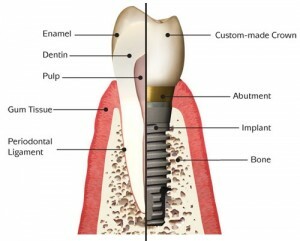 We are a one stop spot for implant placement and restoration. Dr. Leslie Davis has been involved with implants for over 30 years. Both Drs. Leslie Davis and Rachel Davis place and restore their own implants for single missing teeth to full arch replacement. The dental clinics in Kentucky serve the following areas. Click on a county or region below for a list of the best dentists in that area.